I am constantly amazed and helped as I read Andrew Fuller’s (1754-1815) Christ-centered pastoral sensibility. Below is a portion of Fuller’s sermon “On an Intimate and Practical Acquaintance with the Word of God.” The section focuses on seeking the will of God and it is full of gospel wisdom. The Scriptures were then as commonly called “the law of the Lord” as they are now called “the word of God.” So the term is to be understood here. To “seek the law of the Lord” is the same as to ascertain his mind and will in his sacred word. You are to “feed the people with knowledge and understanding;” but you cannot do this without understanding yourself. Your lips are to “keep knowledge,” and the people are to “seek the law at your mouth;” but, in order to communicate it to them, you must seek it at the mouth of God. Seek it, my brother.—It will never be found without. It is a mine, in which you will have to dig. And it is a precious mine, which will well repay all your labor. Seek it at the fountain-head.—You feel, I doubt not, a great esteem for many of your brethren now living, and admire the writings of some who are now no more; and you will read their productions with attention and pleasure. But whatever excellence your brethren possess, it is all borrowed; and it is mingled with error. Learn your religion from the Bible. Let that be your decisive rule. Adopt not a body of sentiments, or even a single sentiment, solely on the authority of any man—however great, however respected. Dare to think for yourself. Human compositions are fallible. But the Scriptures were written by men who wrote as they were inspired by the Holy Spirit. Human writings on religion resemble preaching—they are useful only so far as they illustrate the Scriptures, and induce us to search them for ourselves. Seek the will of God in every part of the Bible.—It is very true that some parts of the Bible are more interesting than others. But “all Scripture is profitable” and necessary. Do not take this part and leave that. Some people foolishly talk of Arminian texts, and Calvinistic texts, as if Scripture were repugnant to itself! That system, whatever it be called, cannot be the right one, that rejects any one part of Scripture whatever. Seek it perseveringly.—Do not reckon yourself so to have found it as to be self-sufficient. Be open to conviction from every quarter. Seek it by reading, by meditation, by prayer, by conversation—by all the means that offer. Do not reject information from an inferior, or even an enemy. In the study of the Scriptures you will always be a learner. [Andrew G. Fuller, (1988). 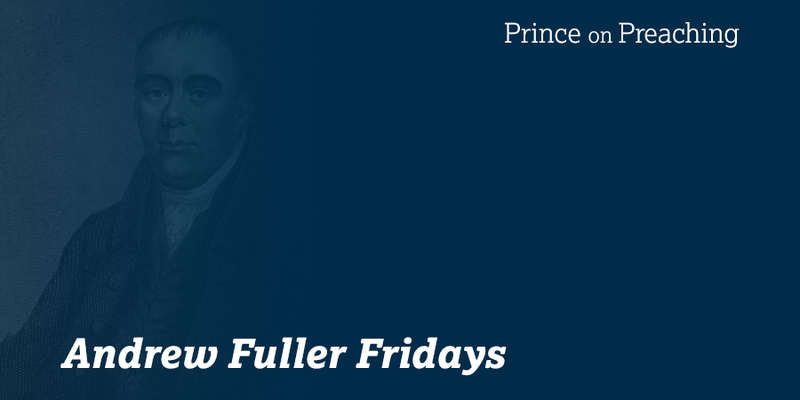 The Complete Works of Andrew Fuller: Memoirs, Sermons, Etc. “On an Intimate and Practical Acquantance with the Word of God,” (J. Belcher, Ed.) (Vol. 1, pp. 483–486). Harrisonburg, VA: Sprinkle Publications].